I caught this film on Netflix recently and, as a sucker for space horror, loaded it up and went in blind, not knowing what to expect. I was pleasantly surprised. The cast were headed up by two very talented actors with Ryan Reynolds doing his patented brand of goofy yet heroic and Jake Gyllenhaal giving another solid, emotional performance. The rest of the ensemble were equally restrained and believable in their roles as scientist/astronauts tasked with researching samples taken from Mars that showed signs of life. From the tense opening scene where the samples might’ve been lost if not for Reynolds bravery to the consequential astonishment at the discovery of an alien organism, albeit a very simple cell, the film had an undeniable quality. The research and its consequences are astounding yet, as the scientists continue their observations, that simple cell begins to transform, displaying an intelligence beyond anything they’ve ever seen before. The film captures the tension and claustrophobia of a space station brilliantly, and the special effects are on point. As things take a turn and the cell (miraculously and suddenly) begins to evolve into a creature, that sense of knife-edge existence which comes from living inside a space station comes to the fore. The fragility of the human body, the desperation to survive is, in Life, viscerally portrayed – none more so than with Reynolds’ self- sacrifice. As the cell turned creature turned monster begins to pick off the crew and desperation replaces logic, the true horror of the astronauts choices are revealed; there is no exit strategy. The last ‘firewall’ is for the station to be ejected into outer space. The scientists try everything but the creature is smarter, more suited to the environment and, basically, unkillable. It’s solid horror. The atmosphere was well wrought and the acting well done. For me the annoyance came in how the creature managed to evolve from a single cell into a fully-fledged vampiric octopus so quickly. But, accepting the suspension of disbelief, it is a badass monster. Yes, the ending was predictable. However, it was an entertaining movie that hit all the right space horror tropes and made for a fun watch. I heard about Turbo Kid when it came out but didn’t get the chance to watch it until I spied a late night TV showing of the film and recorded it. I’m so glad I did. It’s a modern take on all the awesome 80’s sci-fi post-apocalyptic adventure movies, mashing up tropes and ideas into one brilliantly balanced episode. Plus, it features Michael Ironside (the baddy from Total Recall) as the antagonist. Set in a post-apocalypse, where water is more than scarce and a possible robot uprising expidiated the end of society, Turbo Kid is bonkers. The “kid” is an orphan, living by his wits and scavenging the wasteland for things to trade, especially for ‘Turbo Rider’ comics. Emulating his hero, the Kid navigates the wasteland on his trusty BMX when he is forcefully befriended by Apple, an overly enthusiastic and amicable girl. And, here, is where things get mental. Apple is kidnapped by some nefarious thugs, notably a mute mask wearing henchman called Skeletron. Taken back to the big bad bosses HQ, she is thrown into the pit – a fighting arena used purely for violent entertainment where the dead are crushed by a machine and turned into water; the same water all the people of the wasteland trade for. What ensues is a wild adventure as the Kid tries to save Apple with the help of an arm wrestling champion cowboy, another pit victim. Twists and turns abound as Zeus (played by Ironside) tracks them down. She turns out to be a robot, the cowboy a tough but fair ally and the Kid a resourceful hero as the film ends in an impressively epic showdown. The violence is gory but tongue-in-cheek and the tropes laid on thick and fast yet with originality. There’s an impressive retro feel to the film that permeates it’s visuals and effects yet it’s a great movie that tells a unique story. If I’ve said it to my wife once, I’ve said it a thousand times; Netflix is crushing it with their original sci-fi series. The Punisher is an excellent example. As a kid, I read some Spider-Man/Punisher crossover comics and, as a teen, I read more Punisher comic books. He’s a great character who populates a space in the superhero landscape that is unique. An anti-hero of sorts but one driven by the most pure albeit tragic of reasons. The series does an amazing job of bringing that backstory to life, rebooted yet losing none of its power. In fact, it probably adds a layer of moral ambiguity to the character of Frank Castle that firmly places the series at the gritty end of dark. Jon Bernthal fills out the army issue boots of The Punisher in epic fashion with an intensity that is relentless and terrifying. After dispatching a host of gangsters, drug dealers and mafiosa, who Castle blames for the murder of his wife and children, he is drifting under the radar having faked his own death. But a message from a certain ‘Micro’ brings everything back and uncovers the real power behind the killing of his family. The dynamic between Frank and Micro is intriguing and complex, moving from enemies to friends and everything in between. The duo are, however, the perfect package to take on an enemy who has all the assets and all the power. Frank’s psychotic drive and ability to rain down death paired with Micro’s technological wizardry is an unstoppable force. Yet, there are other players in the game such as Homeland Security Agent Madani. A woman compelled to find the truth and very much a white-hat in the story. It complicates Castle’s plans entirely as Madani is determined to bring The Punisher in, thinking he is responsible for all manner of crimes. As things begin to untangle, Madani and Castle begin to co-operate. The Punisher is a brilliant series. Dark, violent and uncompromising. It also cleverly touches on some serious modern themes around the recent conflicts in the Middle East. But, the finale is one of the most brutal conclusions I’ve seen in screen. One which cleverly leaves an opening for a second series and I can’t wait. The film-fest continues, this time with Mad Max: Fury Road and, much like Terminator, it’s another of my favourite movie franchises from my youth. However, considering the development hell this feature went through, it’s an absolutely amazing reboot of the Mad Max series. Like previous stanzas, Mad Max: Fury Road is a tale of survival in an apocalyptic wasteland of epic proportions. From the outset, it’s mental and I mean, as completely and utterly mental as a bag of frogs. Max, captured by the War Boys,the crazed army of Immortan Joe, tries to escape his fate as a blood bag (blood donor) in a scene that sets the tone for the whole film; fast, vicious and insane. His eventual emancipation comes about as the War Boys try to stop Imperator Furiosa who, herself, is making off with the aforementioned Joe’s favourite breeders. Reluctantly, Max ends up joining forces with Furiosa and, in parallels to some of the great westerns, so begins a tale of vengeance, redemption and, ultimately, compassion. Chased across a desolate wasteland, Max, though hardwired to his most basic instinct to survive, can’t help but give in to his better self. 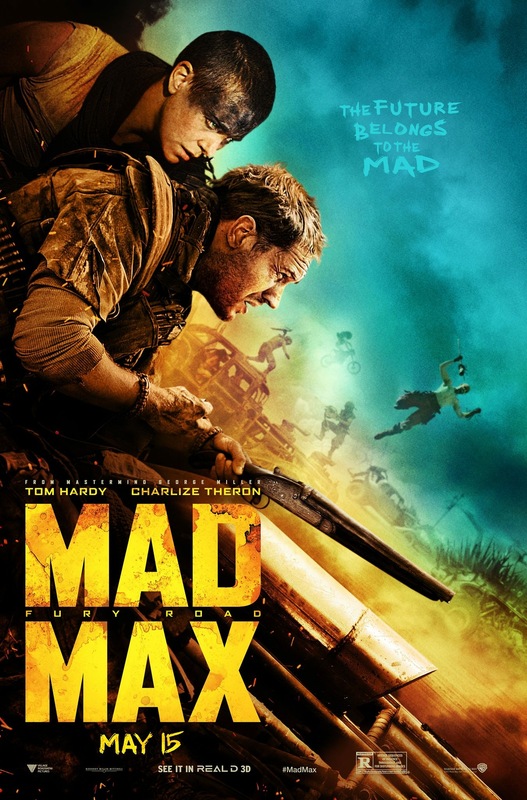 Amidst so much chaos and hatred, Max’s altruism sees him helping Furiosa to return to her childhood home and even taking in one of the War Boys, Nux, in a display of humanity starkly contrasted by the suicidal tendencies of those futuristic soldiers. In a way, it’s a great allegory of how humankind retains it’s kindness and benevolence in the face of total apocalyptic destruction. On the other hand, it’s a rip-roaring, balls to the wall, totally bonkers sci-fi action movie. Recently, I was afforded the time to watch a trifecta of epic sci-fi films. First up, Terminator Genisys. 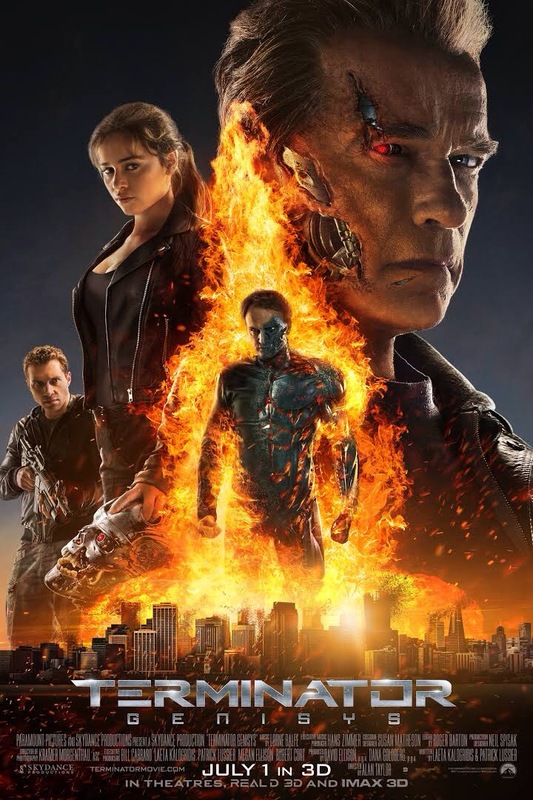 As a big fan of the franchise, I really wanted to like Terminator Genisys and, in the main, I did. I was excited about a new chapter in the cannon and with Arnie back on board, I had high hopes. Personally, I thought the opening scenes paying homage to the original was brilliant and the T-800 versus T-800 was a great way to show the new direction this film was about to take. A new timeline and a different past/future was a good move to make. Again, in the main part, this worked well. Changing Skynet and Cyberdyne Systems away from physical robotics to the virtual software programs and media networks we so rely on nowadays was a smart idea. Equally, pitching John Connor as the antagonist was another clever shift in the paradigm; he remains a saviour but this time for Skynet, not humanity. Whilst Terminator 2, 3 and to an extent Salvation followed a timeline, this reboot had some serious potential. The opening homage, the continuity of elements and details such as the scars on John Connor’s face, all recognised the previous chapters whilst stating that this was a definite new beginning for the franchise. But. Firstly, Genisys was kind of ‘lite’; a diet version of the gritty, cyborg-machine apocalypse of the original. Though Emilia Clarke and Jai Courtney were both solid, neither was gnarly enough for the roles. Clarke didn’t seem to have that unhinged factor that Linda Hamilton brought to the second film; she wasn’t meant to be a terrified waitress but neither was she a prepped warrior. Likewise, Courtney was almost too soft and bewildered compared to the sinewy, hard-as-nails Kyle Reese from the first Terminator; he just didn’t seem to have the readiness nor adaptability of someone forged in the ruins of humanity. Lastly, the ending. Equally ‘lite’ and definitely confusing. Time travel usually is but to have Kyle met his younger self to tell himself to remember to do a something he’s clearly already done (else his younger self wouldn’t be with his parents and Judgement Day would have occurred) is a weird paradox and, seemingly pointless. I expect there were a few elements left unanswered, such as Arnie’s character, that were waiting for the next film. Whether that happens or not, or the rights get sold again, I hope the central concept behind Terminator remains as it important as it is just like a futuristic CPU picked out of the wreckage of a destroyed factory. Terminator Genisys was a good effort. I know I’ll definitely watch it again because, like I said, I’m a big fan and there’s nothing better than a marathon viewing of your favourite franchise. I started watching this film knowing little about it. I didn’t know it was based on an unpublished graphic novel, written by the man who ended up directing the movie – but I’d love to read it. Nor did I realise I’d see Tom Cruise fight a cloned version of himself and win via triangle submission* – but it was one of the most enjoyable combat scenes I’ve seen in a while. And, though I had to watch it over two days (making the most of my son’s nap time) it was a hugely atmospheric and engaging film. Another title on my catch up list, Oblivion set an intriguing tone from the outset. The sleek design element coupled with the stark and empty post-war landscape created a wonderful dichotomy that furthered the atmospheric battle at the heart of the film. It’s not just a battle between the perceived good ‘humanity’ and the bad ‘scavengers’; it’s the battle within Cruise’s character (Jack Harper, Tech 49) between his own self, his reality and his future. This isn’t a sci-fi story that breaks much new ground, if I’m honest. However, the plot line was dealt with very smartly, slowly revealing that the baddies were actually the goodies and vice versa. That reveal, and the consequent clone fight between Cruise (Tech 49) and Cruise (Tech 52) then set the scene for some epic heroics from the lead protagonist. Yet, it also tested the water with the concepts and philosophy of what makes a human. Is it belonging? Is it memory and shared experience? Is it love and the desire to live? That fight is the spark behind these questions as both clones, though apparently memory-wiped, continue to have visions of a woman – the real Jack Harpers wife, Julia (played by Olga Kurylenko). All these questions were brooked but ultimately they were answered with a very entertaining and explosive set piece finale. The aliens were vanquished and humanity once more showed it’s strength through sacrifice and solidarity. 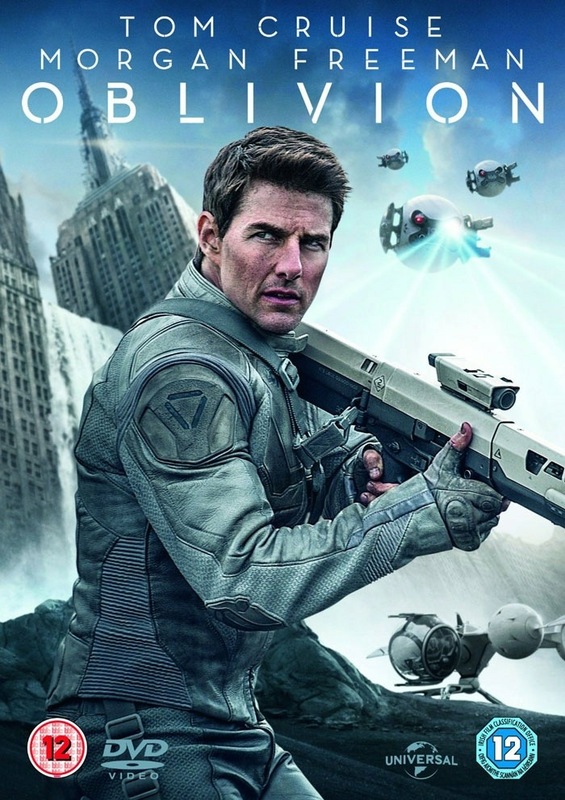 Once again, Tom Cruise puts in another solid sci-fi performance in a thoroughly enjoyable film. Atmospheric and brilliantly designed, it might not dig too deep but Oblivion is a great slice of sci-fi action. Over the holidays, my wife and I decided to catch up on some films we’d been wanting to see. Top of the animation list was Big Hero 6. As software and technology continues it’s advances, these kind of movies just get better and better; the visual prowess matching the storytelling perfectly. Big Hero 6 revolves around Hiro, a teenager with a big brain and a talent with robotics. Convinced by his brother to use his intelligence for better purposes than ‘bot fighting’, Hiro undertakes an annual challenge to produce some advanced technology and earn his place at a prestigious university, learning from the best in the robotics field. After winning his spot with the invention of mini-bots (a veritable sea of tiny robots controlled by the users brain waves to achieve anything imaginable), Hiro is approached by the unscrupulous businessman Alistair Krei. He wants to buy the tech but Hiro’s new professor, Robert Callaghan, advises against it. Shortly after, as Hiro and his brother Tadashi talk, a fire breaks out in the hall where the contest has taken place, trapping the professor inside. Tadashi fearlessly runs in to rescue his mentor Callaghan but an explosion destroys the building. Distraught at the loss of his brother, Hiro sinks into a depression until Tadashi’s own robotic project activates. Baymax is a robotic medical assistant that seeks to help Hiro. It results in Baymax helping Hiro discover that his mini-bots weren’t blown up but were stolen. The rest of the story is a good old fashioned hero versus villain encounter filled with awesome montages and a group of nerdy misfits teaming together to form the eponymous ‘Big Hero 6’. It’s actually a fairly straight forward plot, with Krei as the obvious red herring. However, Big Hero 6 is an emotional roller coaster that tugs at the heart strings. 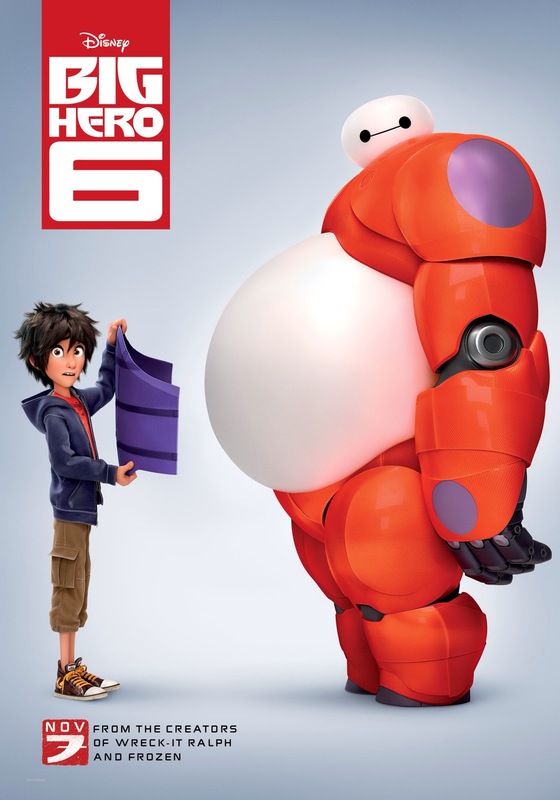 Hero’s relationship with Baymax is cleverly evolved as the teen realises revenge isn’t the best path to take. Big Hero 6 is a big movie, both visually and for it’s simple yet powerful story. The animation was astounding and the characters absolutely brilliantly cast and created. Here’s hoping for a sequel. 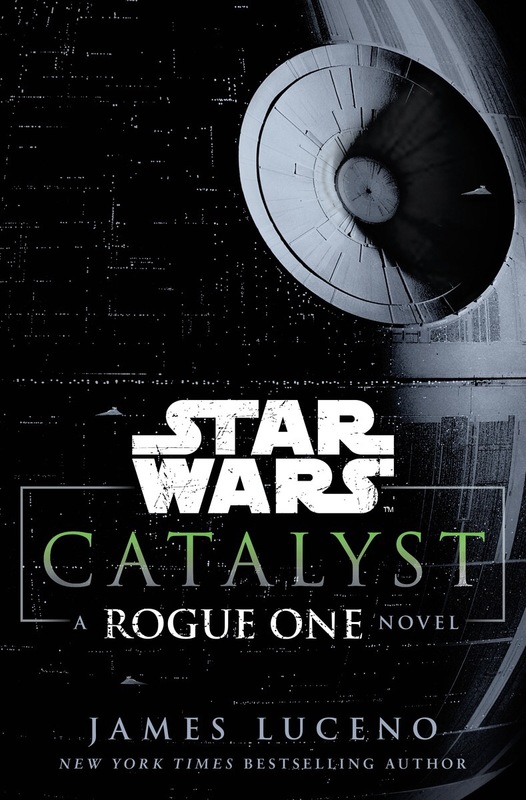 Similar to last year, I wanted to round out my blog in 2015 with my best reads of the year. Whilst my family and I have moved half way around the world and back again, and my reading time has taken a slight back seat due to other responsibilities, I’ve still managed to review some fantastic novels. So, without any further beard stroking, here’s my top five books..
I’ve been chopping and changing between new works and old, fantasy and sci-fi, and one title that really surprised me for it’s depth and detail was Crashing Heaven by Al Robertson. The setting and world building was enthralling whilst the buddy-cop feel to the two lead characters, accountant and deadly software/puppet, was brilliant. For me, Al Robertson created a truly awesome slice of science fiction. Equally layered and astounding in scope was Tanya Huff’s An Ancient Peace. Part of an on-going set of stories concerning the seriously no-nonsense Marine Gunnery Sergeant Kerr, An Ancient Peace is a character driven adventure that nails down the action, science fiction and world building with an effortless ease. Though I was embarrassed I’d not heard of Tanya Huff before, this is an author I’ll be seeking out in the future. Whilst not fitting into an clear cut category, Finn Fancy Necromancy was sheer, unadulterated fun. Snappy dialogue, a case of ‘whodunit’ and a boat load of 80s references all came together to form a wonderful and up-to-date magical mystery. Author Randy Henderson has a great feel for comedy and, as a debut, this was a flawless novel that left me wanting more. I’ve read a fair amount of fantasy this year but both Beyond Redemption by Michael R Fletcher and Promise of Blood by Brian McClellan were stand out novels for me. McClellan’s flintlock fantasy was absolutely epic; the magic system of powdermages was inspired and the setting was intriguing. With so many stories and characters intertwining and driving forward Promise of Blood held my imagination from start to finish and I’m looking forward to reading the rest in the trilogy very soon. I just recently finished Michael R Fletcher’s Beyond Redemption and this remains a key example of where modern fantasy is excelling right now. There’s a lot of great authors writing in the fantasy arena and Fletcher deserves to be amongst them already. Beyond Redemption was full of brutal characters and the idea of insanity manifesting as reality took the idea of ‘magic’ to the next level. There’s great characters but little respite in this book and it’s definitely a work of fiction that stays with you; fantastic fantasy in my opinion. This year I’ve actually managed to watch a few films and catch up with my favourite show The Walking Dead, even getting to finish season 5. I even found time to watch the prequel Fear The Walking Dead but more on that in another post. Top of my movie choices has to be Edge of Tomorrow the adaptation of All You Need Is Kill by Hiroshi Sakurazaka. Not only was it visually stunning but the play on the video-game idea of regeneration and it’s consequences to the protagonist was brilliantly handled. It’s been a slightly sporadic year for me and my reading but I’m hoping next year will bring more awesome books, new, old and e-based. And, as ever, I’ll blog my thoughts on them all..